Douglas fir pine cones (Pseudotsuga menziesii); photo by Tom Brandt on Flickr (use permitted with attribution). 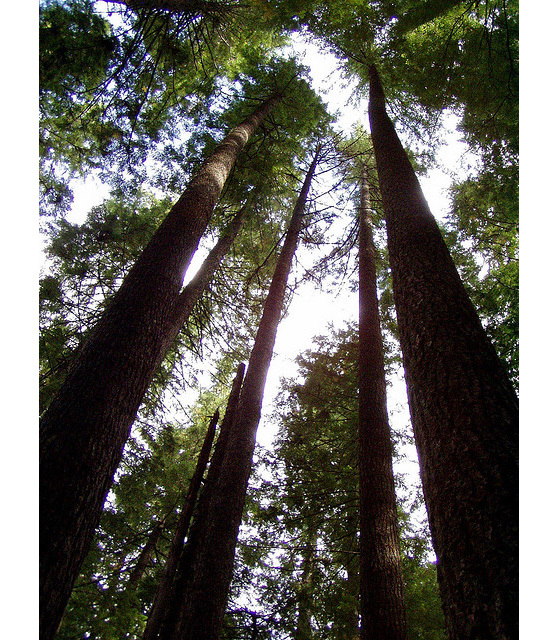 Named after a Scottish botanist who traveled through Oregon in the 1820's, the Douglas fir can grow to a height of 325 feet and have a 15 foot diameter trunk (averaging 200 feet in height and six feet in diameter). 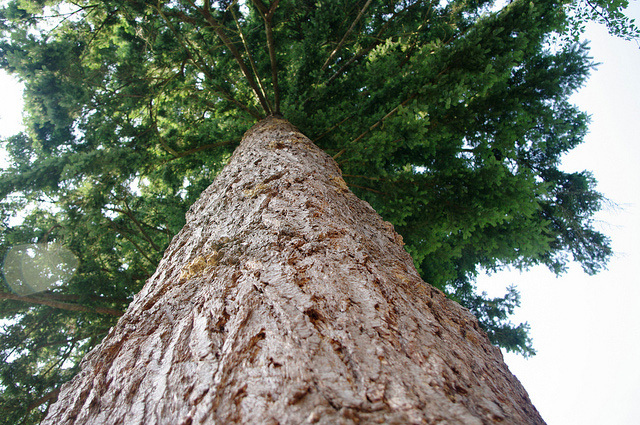 The timber from Douglas firs is said to be stronger than concrete. The Douglas fir's soft, fragrant, dark to blue-green needles have made it one of the most popular Christmas trees all over the United States - they are even shipped to Hawaii. Originally, most trees were harvested from forest lands, but since the 1950's most Douglas Christmas trees are grown on plantations and few are taken from the forests. 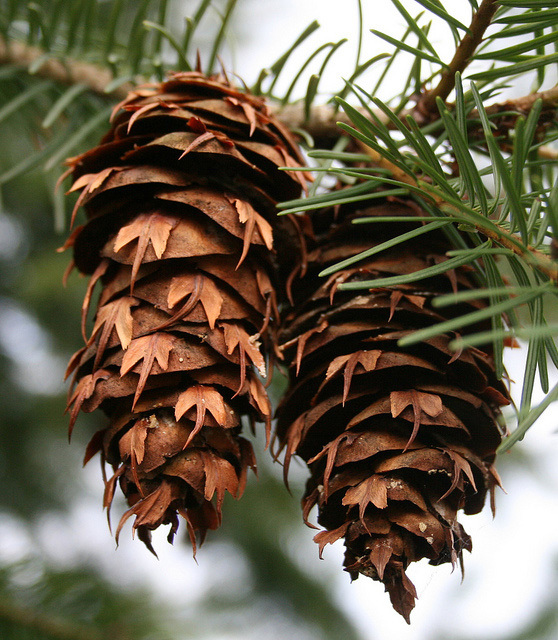 Douglas fir seeds and foliage are an important source of food and cover for many animals, including songbirds, rabbits, and elk. It is also an important source of lumber for wood products from plywood to cabinets. The three masts on the restored "Old Ironsides" (the USS Constitution) are made from Douglas Fir. Looking up at Douglas fir tree; photo by K Pusztavari on Flickr (noncommercial use permitted with attribution / share alike). Douglas fir trees (Pseudotsuga menziesii); photo by jabenaki on Flickr (noncommercial use permitted with attribution / no derivative works).